Once again, it has proven valuable to hang out in Hunter. Last night we went bar hopping back and forth between Happy Cow and Riley’s, and I can’t remember how many times we crossed those railroad tracks. Between talking to friends, singing along to Gary Stewart on the jukebox and sinking longnecks someone put an X on our map and scribbled down the words: Dean’s Store. Today we’re slowly rolling down FM 3353 towards Kingsbury and at a crossroads stand a couple of small wooden houses. Inside the one house that says Dean’s on the front lays a good ol’ honky-tonk waiting for you to enter. 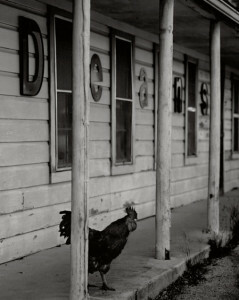 The rooster on the front porch parades in the sunlight, looking a bit down on his luck. Maybe he’s looking for a little action. Me, I’m happy sitting at the bar in the dim light with a cold Lonestar in front of me. Ruth Vaden, today’s bartender, seems to be in a good mood too while we talk a bit about the upcoming Super Bowl. She tells us we’re more than welcome to scoot over for a serious barbeque and an all-night party this coming Sunday. I have never been here before but I immediately get the feeling of being in the company of old friends. I put another dollar in the jukebox, play another country song, and order an additional two dollar domestic. Sometime’s life is good. Today, somewhere between Barbarossa and Kingsbury, life is great. Cheap beer, good music, friendly faces and the smell of wet hay. I will forever be in dept to the stranger who put the X on our map giving me the opportunity to experience this small town beer joint. Jerry Jeff Walker is playing on the jukebox singing about hill country rain, but today the sky is blue over Guadalupe County. I watch the regulars come and go, listening to one particular regular who’s pouring bourbon into his travel mug with one hand, while waving his hat with the other. He tells me a drunken tale about his hat ornament. Apparently it is the genital bone of a raccoon. A couple at the bar ignores the raccoon slayer, and Ruth asks politely but firmly if he might not have a couple of other stops to make before he gets too drunk. Patsy Cline is coming up on the jukebox as the raccoon slayer’s old car pulls out of the parking lot. The conversation with Ruth takes another turn as soon as Patsy starts singing. Or should I say as soon as Patsy and Ruth start singing. We clearly see eye to eye on the topic concerning the greatness of Patsy’s singing skills. It’s evident that Ruth is not very impressed with the way country music sounds today. She preferred the way they sang back in the days, when the undisputed king was Bob Wills. These were times when family traditions and values of the old agricultural society were central to the Texan way of life. Ruth admits to liking some of the newer boys though, like Dale Watson. I agree with her, even though I have to say that as far as modern country music goes, Texans have continued to do it their own way and should never be compared to what’s coming out of this country’s music factories. People around here like it simple and honest. Songs about something real. Something that one can relate to. They want to feel the same way they felt when they first heard Hank Williams on the Grand ol’ Opry. Or if they’re younger, the way they think they would have felt if they’d heard it. They want a voice that speaks their language, and that sings about their lives. Ms. Ruth used to own Deans many years ago. She lives just a couple of houses away from Deans. Jimmy, the owner, has had the place 35 years or so. It is a nice gathering place for locals to end their day with a cold beer and conversation, and for lost travelers just needing a glimpse of rural Texas. Well, she never did own Dean’s Store but she’s been working there for a long, long time. Todays owner is Jimmy Rocket. This is an absolutely gorgeous impression of honky-tonk history quickly fading throughout the US. From the writings to the photos, I am just in awe and very inspired. You’ve captured the gorgeous decrepitude so perfectly. I would love to see more, in fact, you might have a book in the making. Ps. If you ever make it to Oregon, let me show you our style of honky-tonk. don’t know if the reply dissapeared or if we just forgot to answer. Thank you for the very kind words.They keep us going. We’ve made a redesign and added a few posts since you posted and we’d love tha see you here again. Principled making my first post at almostoutofgas.com, which seems to be a wonderful forum! Hi Gail, sorry if you got confused by the two Weinert’s in Texas. The area around crossroads FM 3353 and FM 20, located within the Kingsbury zip code, is also known as Weinert. Deans store is NOT in Weinert, Tx it’s in Kingsbury, Tx. Get the facts straight please. Hi Shaw, sorry if you got confused by the two Weinert’s in Texas. The area around crossroads FM 3353 and FM 20, located within the Kingsbury zip code, is also known as Weinert. We got our facts straight, Mister. Ruth has never owned Dean’s store. My grandparents Marvin and Laura Dean opened the store about 70 yrs ago. They ran it while raising their children, Stanley ( my dad), Betty, and Kenneth. After my grandfather died my Dad, Stanley took over the store. He and mom ran that store for about 15 years. My dad farmed the land around it, built the smokehouse, and did many of the remodel over the years. Dad sold it to a man named Jimmy ?, he hired Ruth to run the store for him. Ruth was Kenneth Dean’s mother in law but has never owned that store. Hi Laurie, thank you so much for sharing your first hand story, it really adds to this. No, Mrs. Ruth has never owned Deans’s store. Are you still visiting Dean’s, it would be nice to hear more about it? Hi C.C. — Weinert is somewhere east of Lubbock, so adding that into the mix really causes some confusion about the location of Dean’s Store. Guess the zip code got transposed during the search. But for the people in and around the Kingsbury community, there is no confusion about something old and special. 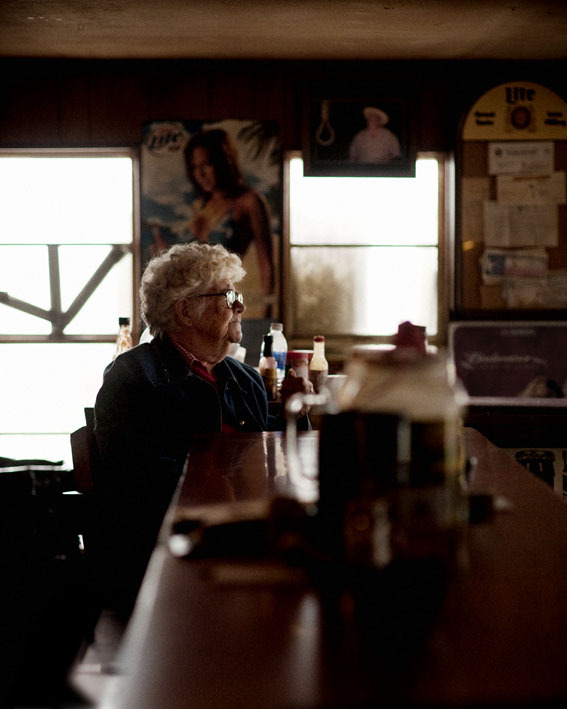 This fading beer joint/general store/community hangout has been a big part of their lives and history for well over 70 years. The store was first opened by Marvin & Laura Dean in the very late 1930’s. My mother was a Dean; she was Marvin’s baby sister. I most likely first visited the old honky-tonk sometime about 1955 to visit family and play with my cousins. The store has served as the local watering hole, a source for groceries and supplies, a pool hall, and a spot for birthday parties and wedding celebrations for those hard-working people in that area over the years. I’m sure the old juke box is the same one I can remember pushing nickels into and watching the records drop on the turntable when I was 5 or 6 years old. Tons of history here as Marvin’s granddaughter, Laurie Dean-Arms, mentioned. If you ever want to do a more extensive look into this old spot, I can probably help with old photos and info from family members. Enjoyed your blog and reading about your visit to Dean’s Store. 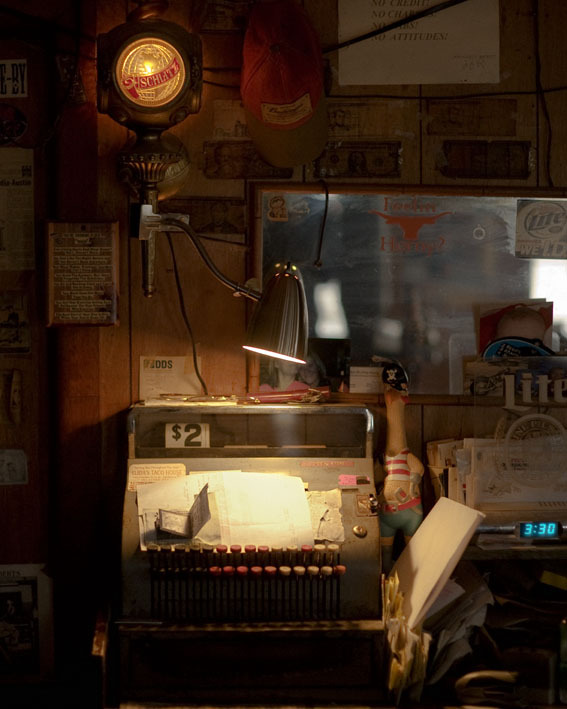 Much like Riley’s in Hunter, this is one of a string of iconic community beer joints around San Marcos/ New Braunfels/ Seguin that have somehow kept living and breathing through the years while the world around it grew up and moved on. 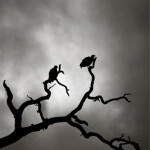 Hi Suzanne, and thank you for reading and posting. Well, it clearly say in the article, written by my friend Olle Florstam, that we are heading towards Kingsbury and we really want to be historically correct so we like to say it’s located in Weinert. It was great to read your comment and feel free to read more about some of the honky-tonks we’ve visited. I got a few more stories to post. About the jukebox, unfortunately it’s not the old one with 45’s but at least it’s not an internet one either. It does however have a nice collection of country music to enjoy with your beer. I have a sound recording with Ms. Ruth and been working on a more in depth piece about Dean’s Store but never gotten to the finish line with it. But I still visit a couple times a year and it’s always a pleasure to sit there listening to the screen doors slam and the rooster call. Made one of my too infrequent stops at Dean’s Store today and got the sad news that Ruth Vaden passed away Thursday. There will be a Celebration of her life gathering at the Store at6 PM on March 31st, with The Brushy Creek Boys proving music. Very sad to hear this, I think of her often. Unfortunately I’m in Sweden and can not attend the celebration of Ruth Vaden’s long life. She was a very fine human being. Mary Ruth Vaden 91, of Kingsbury, TX passed from this life on March 15, 2018. Arrangements under the direction of Legends Funeral Home, San Marcos, Texas.